She took her time to explain everything and was comforting as well as efficient. Overall great experience. Wait time wasless than 5 minutes on all 3 visits which occurred in a 2 month time span. She took her time to explain everything and was comforting as well as efficient. Overall great experience. Wait time was less than 5 minutes on all 3 visits which occurred ina 2 month time span. I was very nervous, having to undergo numerous surgical extractions at once but they used a topical numbing agent thatmade the actual injections quite bearable. The injections were more than adequate for the extractions. I felt no pain at all, only pressure, which is to be expected and the procedure was over very quickly. All the instruments used were sealed in their sterile packages after going through the autoclave procedure. This was all comforting and confidence inspiring. I was impressed with their professionalism. I felt that I was in good hands and I trust their judgement. They tried to make me as comfortable as possible and were understanding in terms of future appointments and the need to get the work done as quickly as possible. I can't say enough about the efficiency and empathy of the dentist and all of his staff. They were so professional and decent, they fulfilled their obligations with grace and courtesy and were just wonderful all around. I recommend them highly if one is looking for a dentist with a professional, compassionate demeanor and a well-run, efficient, and caring staff. I was very nervous, having to undergo numerous surgical extractions at once but they used a topical numbing agent that made the actual injections quite bearable. The injections weremore than adequate for the extractions. I felt no pain at all, only pressure, which is to be expected and the procedure was over very quickly. All the instruments used were sealed in their sterile packages after going through the autoclave procedure. This was all comforting and confidence inspiring. I was impressed with their professionalism. I felt that I was in good hands and I trust their judgement. They tried to make me as comfortable as possible and were understanding in terms of future appointments and the need to get the work done as quickly as possible. I can't say enough about the efficiency and empathy of the dentist and all of his staff. They were so professional and decent, they fulfilled their obligations with grace and courtesy and were just wonderful all around. I recommend them highly if one is looking for a dentist with a professional, compassionate demeanor and a well-run, efficient, and caring staff. Dr. Abdal and her team are changing lives one smile at a time, serving the Farmington Hills community since 2003. 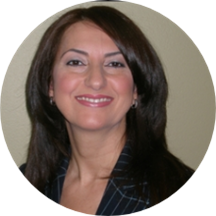 Dr. Abdal received her Bachelor’s Degree in Biology and her Masters in Molecular Biology from Wayne State University. She later attended the University of Detroit, Mercy Dental School and received her Doctorate of Dental Surgery in 1998. Dr. Abdal is dedicated to providing each patient with the highest quality of dental care, customized to fit your individual needs. Upon your arrival, you will be greeted by our friendly staff and feel welcomed in our pleasant environment. We pride ourselves on treating our patients like old friends! She was very Informational and nice. Everyone in the dentist office was very nice and kind and knew what they were doing. The dental hygienist was amazing. She explained everything that she was going to do and was very in depth. The dentist was short, but pleasant. The wait time was short. The only downside is that they don't give out the newpatient care kits like everyone else that includes a new toothbrush, floss, and paste. Dr. Abdal, as always, is sweet, patient, informative, and professional. She and her entire staff are always pleasant and caring. So glad my mom found her! Everyone is friendly, professional and they know how to do their job. My dentist is the best dentist. Highly recommended. I am very happy to have found this dentist. So far, me and my daughter have been treated here. From the front desk to the hygienist, we dealt with nothing but polite, friendly, and professionals. Very friendly staff. Made me feel comfortable and made sure all my concerns were addressed! Wonderful dentist. My kids were always afraid before but now they arent! I really love Nidaa Abdal she is caring and truly concerned about all aspects of my health. I recently had a health scare. She reassured me and helped me remain positive. She remembered me in her prayers and embraced me whenI returned to the office. I have entrusted two of my grandchildren to her and recommended her to all of my friends and family. They are the best. Staff is amazing and very helpful and the dentist is beyond the best! Would recommend to everyone! Dr.Abdal is the best dentist I've ever had. She's very skilled & caring. She explained everything thoroughly & tried to give me the best deal possible on the cost. I highly recommend her. While my past two cleanings have been great, the recent handling of my root canal will have me seeking out a new dentist. After being told they would have to submit my information to the insurance company to see what theamount would be, the pricing came back as, lets say, increment A. I thought it was reasonable and decided to go through with it. Procedure went great for the "drilling hole" bit and I had to schedule to go back for the crown. What I had not been informed of was that when the information was sent to the insurance company, the dentist only sent the drill procedure to be checked. They did *not* send information for all the procedures (drilling hole bit, crown itself, etc) so that I was given the full total of the bill. Imagine my surprise then, thinking I'd paid the one inclusive increment A amount only to receive a second invoice notice from my insurance for what would be the second part of the procedure. And, because I have a hole in my tooth, it's not like I can just stop midway. Now, I'm looking forward to a little over four times the amount I was expecting to spend! Had I known that, I wouldn't have done this procedure at this time, given earlier medical expenses at the beginning of this year. I would think it common sense that if one is going through with a root canal you would submit all the information at once rather than the first part of it, figuring that the patient would want to see a total and not a part of a total. So, I will not be going back once this is done and, if I could, I would be seeking out a new dentist to finish this procedure but I'm kind of stuck for now. All staff very professional helpful and caring. To take more time for explanations. This visit was excellent. The office was near and clean. The staff was friendly. Mrs. Abdal was very Informative and has a caring disposition. I would recommend this office to anyone whom has a hard time getting to a dentist. I really like the Hygienist, she was very thorough with cleaning and also provide useful suggestions.